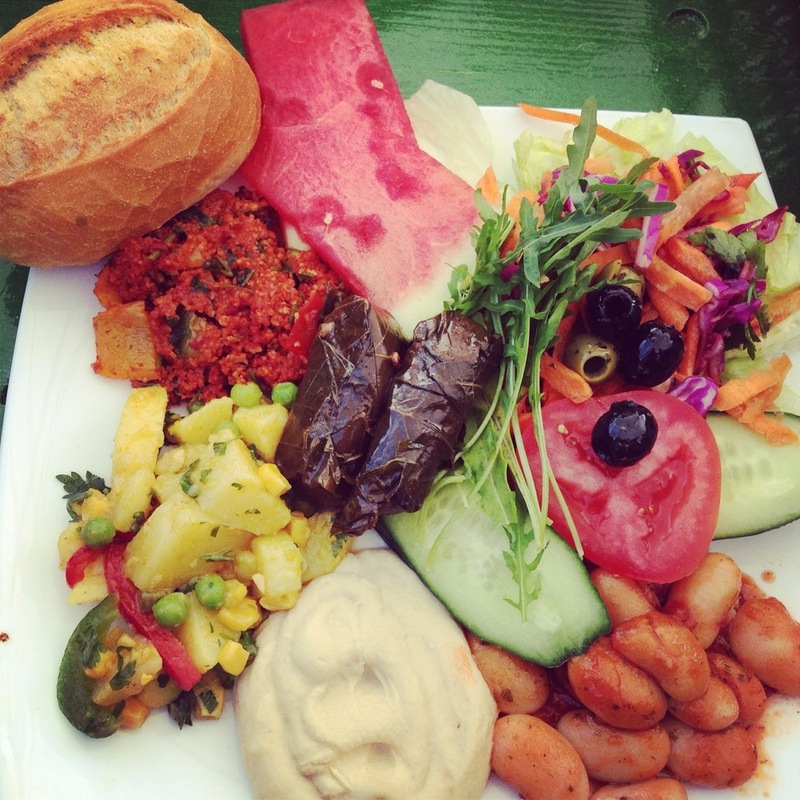 A VEGAN GUIDE TO GERMANY! Berlin has got to be one of the easiest places I've ever been to be vegan in. Get up late, get started on the black coffee, and make yourself at home in a city packed full of seitan burgers, late night bars and great markets. Just a little over twelve months since my last visit to Berlin, a last-minute press invite landed in my inbox, and seven days later I found myself back in Germany for less than 36 hours, tunnel vision forever set on the burger trail. Berlin feels like a red hot summer ago right now. The first thing I thought of when waking up to sheets of rain outside my Grandad's flat this morning was that Berlin, that heatwave and all those gorgeous falafels now feels like an entire season ago. Berlin does vegan burgers in a way I just haven’t ever found anywhere else in Europe. Toasted burger buns, huge, huge piles of proper chips, ridiculous fillings.